I found myself literally sick to my stomach as I read the bleeding heart liberal drivel in Huffington Post regarding South Africa. What did I expect, right? I’ll tell you what I expect. I expect the press to tell the WHOLE story and not just that which advances and falsely confirms the narrative written by the powers that be in these liberal rag news sources. Sound angry? You betcha. Weeks ago, I received a letter sent to Todd Strandberg and myself, from a man from South Africa who wanted to sound the alarm to Christians in the U.S. about the mass white genocide taking place in South Africa. The numbers of slaughtered farmers and other whites in this country is shocking. But the Huffington Post – part of the liberal”Fake News” gang, published a letter of their own. This letter is from a white woman in South Africa to the American people. The writer of the letter wags her scolding liberal finger at white America for our racism! She sites the Ferguson riots as well as those in Baltimore. She speaks of the injustices done to blacks in America. Don’t get me wrong – there are legitimate cases of pure racism in America. But I would venture to say that this also exists in every country with races of different colors. Is it wrong? Of course it is. Did the writer of the letter even once acknowledge that America had a black president – Barack Obama – when she wrote this letter? A country with less that 14% of the population being black, voted in a black president! It has been an eerie thing for me these past few years: sort of a déjà vu experience to watch the news and read about Ferguson, Eric Garner, Baltimore riots, McKinney and, most recently, the horrific shooting in Charleston. I’ve been watching #blacklivesmatter trend on Twitter: grief and outrage and opinions from every corner. And, as someone who grew up in Apartheid South Africa, this all feels eerily familiar. I listen to people talk and think I remember, and I recognize that. America did away with legislated racism a few decades before South Africa did (I remember reading many of the early U.S. cases in my constitutional law classes in SA), but institutional racism is still alive and well, and people are hurting. That, even though I was raised as a “liberal” white person, I was still a beneficiary of privilege. I still had more opportunities than people with more melanin in their skin, just because of being born white. I had not yet learned that we are all blind to our own privileges until we hear the stories of those who have lived without. Just as we don’t know what a privilege it is to be able-bodied until we, or someone close to us, loses significant body function, we don’t know what white privilege is until we, or someone close to us, experiences significant discrimination on the basis of their skin color. For example, I didn’t know until recently that even the color of band aids reflected privilege: the “norm” is a skin-tone suited for caucasians, not people of color. That, just because I wasn’t a hate-mongering “racist” and even though I had friends of other races (I was one of the few who went to a private, multiracial school in the 80s), didn’t mean I knew what it was like to be black. I had not yet learned to listen to people’s stories. That, even though my mom did much to try and teach us not to use racial slurs (for example, black men are not “boys”), there were still other presumptions and prejudices and blind spots I carried because of the culture I was born into. To you, beloved Americans, I offer this humble suggestion: please learn something from South Africa’s history in the current crisis. Read Alan Paton’s Cry, The Beloved Country. Read Nelson Mandela’s Long Walk to Freedom. Consider Desmond Tutu’s words and example. Read Michael Cassidy. Read about the Truth and Reconciliation Commission. Listen to what happened (and how the church responded) when a group of terrorists walked into St. James Church and massacred the worshippers there in 1993. South Africa is not a shining example in many respects, but there are still so many lessons we can learn from each other. Listen to the stories of the white families around you who are adopting black children, and are learning in their own families about how their darker skinned children are treated differently to their white ones (like Jen Hatmaker, Karen Yates, and Kristen Howerton. Listen to the words of writers like Austin Channing, and Osheta Moore, who are seeking to be peacemakers (not trouble causers) by telling the stories we need to hear about race. Acknowledge that if you are white, you have no idea what it’s like to be not-white. Can I also gently say that you are not going to hear the stories that will move you towards grace and better understanding if you are exclusively watching FOX news. (Or reading Matt Walsh.) South Africa would never have been able to move forward if we all just kept listening to the people we had always listened to. We need to read and listen outside of our little circles. It was really only when I had finished law school and was at seminary, side by side with South Africans from every race group, and people were sharing their testimonies of growing up that the penny really began to drop for me. I’m still trying to listen. It’s hard. God knows, I want to be a better listener than I’ve been. I’m in my late 30s, and still learning how much my opinions have been shaped by my being white and growing up in the predominantly white communities and schools I did. Watching South Africa go through its painful transition to democracy was the beginning of a lesson in needing to listen well (and silently) to other’s stories. The difference between a freedom fighter and terrorist is really just a matter of perspective, isn’t it? Huffington Post chose to publish this letter, but ignore the genocide of whites – again, nearly 70,000 murders since the end of Apartheid. Is this not a prime example of one- sided news? The hypocrisy is so blatant! But do they care? No, I do not believe they do. They care about spinning the news to their liberal readers, and publishing pieces which fan the flames of outbursts and riots and more death. I am an ethnic Jew. I have often thought that if my people had the mindset of the liberal left about justice for the Holocaust, then rioting and harming people in Germany would be justified. Right? Doesn’t that make sense? Trust me when I say that if the Jews of Germany would rise up for justice, the U.N. would condemn them as would most of the world. Huffington Post, Washington Post, New York Times et al: You are hypocrites. Now, you must deal with our new President Donald Trump. I see you squirming but still you publish drivel. I see you protesting at press briefings, but this time you are being called that which you truly are: FAKE NEWS. That’s nuts talk about fake news. It’s makes me angry the Huffington post did that are brothers and sisters in Christ are being killed in South Africa and no wants to talk about it unbelievable and crazy fake news media. Now the people and government of South Africa need Jesus Christ and we will pray for the nonbelievers to see their need for Jesus Christ. Whatever our past whatever YOUR past in the USA, does not justify the means to a goal of bloodshed, escalation violence that we’ve seen in the USA in the last ten years, neither is there any reason whatsoever for genocide. The heart of the nation need to be changed by positive thinking politicians. One tracked minded politicians destroyed Zimbabwe and that very president keep on firing up the militant youth in SA and the best of all our politics seams to go the same why despite the example of Mugabe’s destructive policies about whites and white owned businesses. Now just like the ANC and the world witnessed Zimbabwe’s destruction, so to are the attitude of liberal world. In the face of the outcomes of their liberal approach to world affairs (Political Correctness) they rather sell out their own liberties rather than break the satanic spirit of globalisation, one world nation building and one world governorship. I have no hope that things will go better, but I know it reflects the spirit of Prophecy. 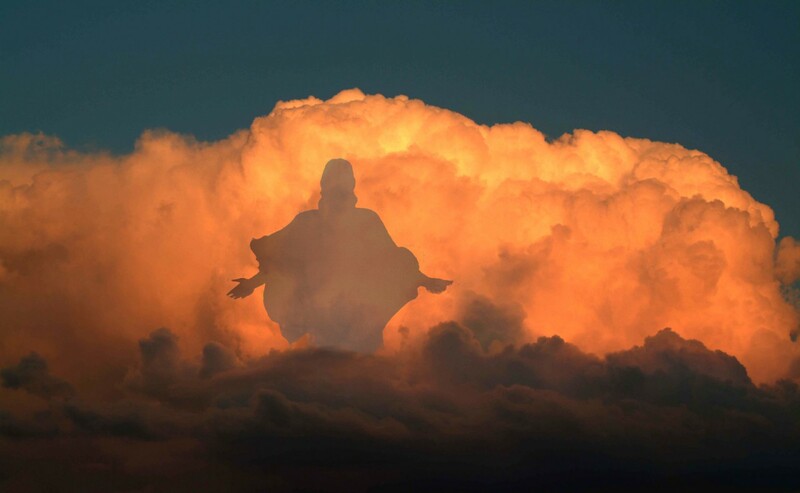 We’re in the end times and ALL MY HOPE is focused on the clouds, for as He, Yeshua Ben Hashem went, so He’ll come. If you’re not in Yerushalayim you’ll “see” it on the ” telly”. Love you folks of Hashem Shalom Maranatha! !